American motorcycle company UM Motorcycles have started to import their range of small capacity bikes into Europe. While the firm is based in Miami, Florida, the bikes are built in India and China. With an 11-bike range consisting of cruisers, nakeds, sports and adventure bikes all using the same 125cc engine, UM are looking at expanding even further in the future. How the hell do you... Slipstream a bike at the North West 200? 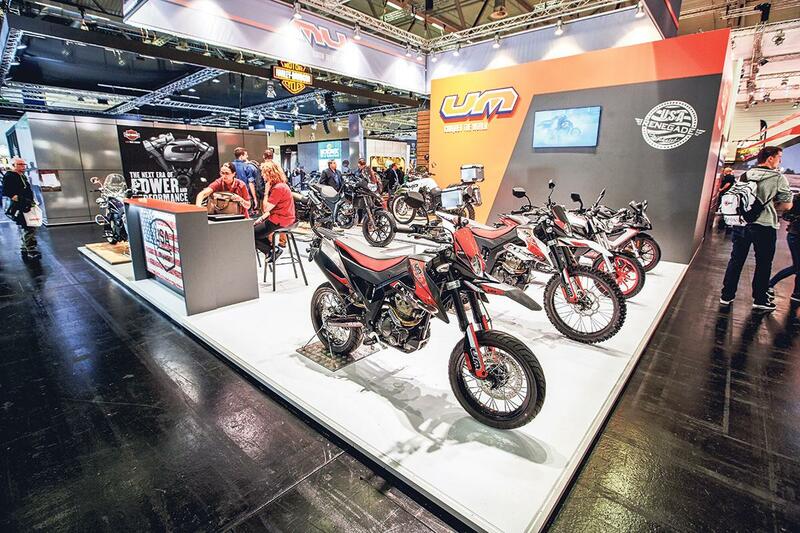 According to UM, next year the line up will include a 300cc cruiser and adventure bike aimed at the European market. UM’s full range will be imported into the UK by Lexmoto, with prices starting in the £2500 area and increasing to around £4000.